The last thing Chicago needs is yet another annual film festival, since it feels like there’s at least one every month. Right? Wrong. There can never be enough festivals to celebrate film and even though it feels impossible to keep up with all of them or when I try like I’m chasing my tail, I will still support and embrace what I can. So, when the beautiful Music Box Theatre kicks off a brand new 3-day festival featuring the best of recent documentaries within the past year, there’s no way I could refuse checking out these films and promoting the festival. Besides, the more movies I see, the more documentaries I watch and the more I appreciate their potential and power, probably more than any other medium of film. Below I’ve listed synopsis of each film and if I’ve seen the doc, you’ll see a star-rating underneath my capsule review. I’ll be updating what I’ve seen periodically as we go into the weekend, so check back here frequently – until then here’s the lowdown and schedule (check out the bold letters for appearances by filmmakers) for this weekend’s brand new Chicago film festival…. 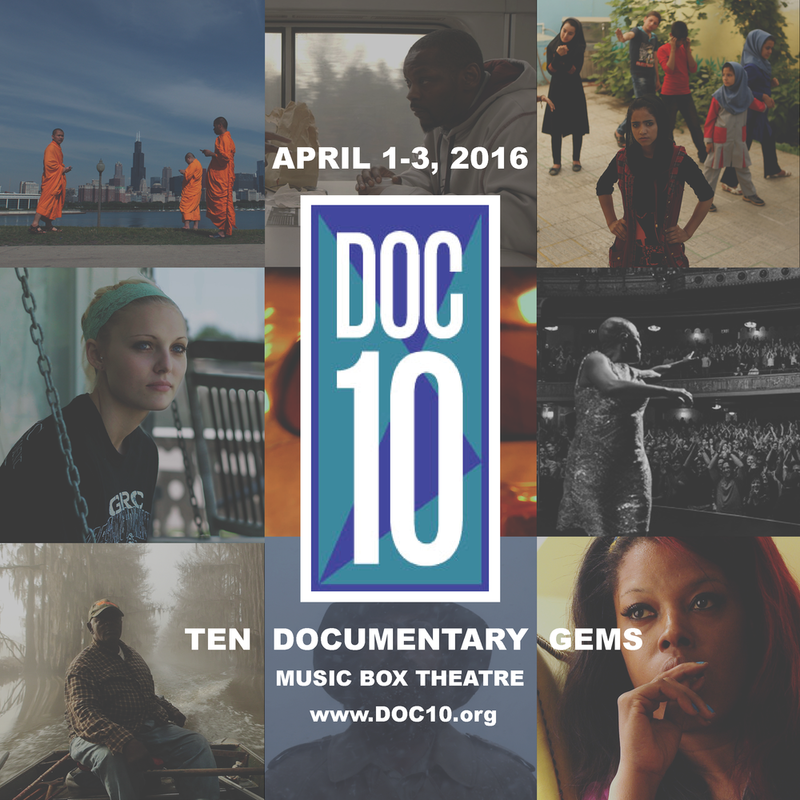 Chicago Media Project, the premier Chicago non-profit organization supporting social impact media, is pleased to announce the creation of DOC10, a festival of ten documentary films, running April 1st through 3rd at the iconic Music Box Theatre in the heart of Chicago. 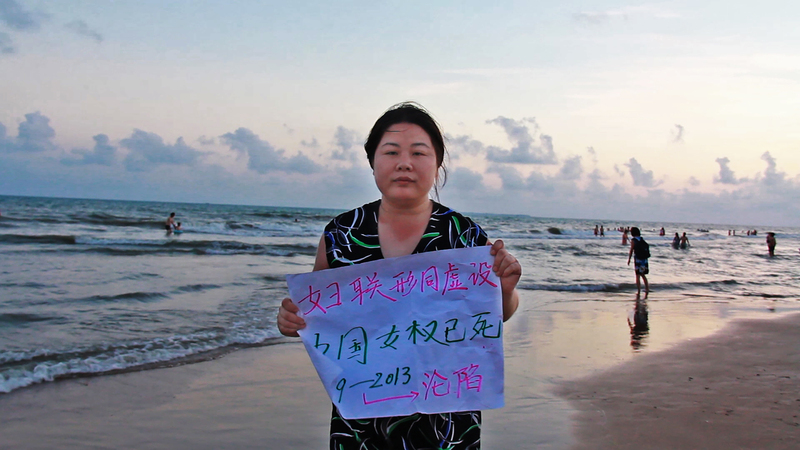 Featuring new works from such acclaimed masters as Barbara Kopple, Werner Herzog and Albert Maysles, the only film festival of its kind in Chicago will present the full spectrum of current nonfiction filmmaking, from important social issue films and captivating music docs to engaging vérité and experimental works. 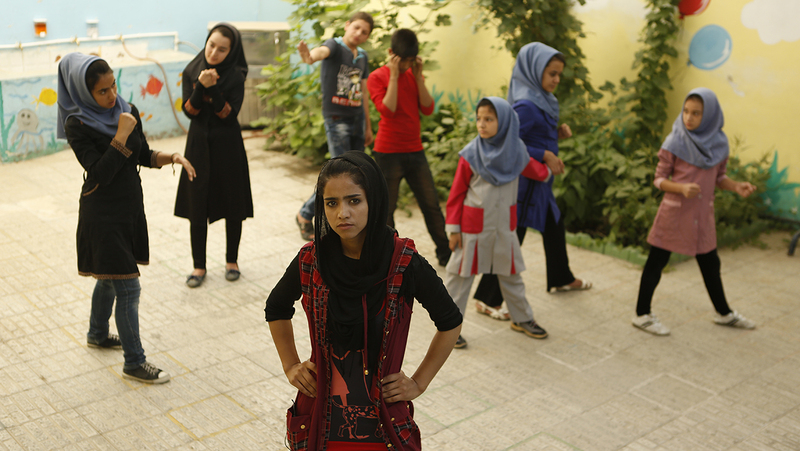 All ten films will have their Chicago premieres during the festival weekend. DOC10 kicks off with”Miss Sharon Jones!” the latest from legendary documentarian and Oscar-winner Barbara Kopple (“Harlan County USA”). The film follows magnetic soul singer Sharon Jones and her close-knit family of band members, the Dap-Kings, through one of their most tumultuous years together. With tenderness, humor and plenty of rip-roaring musical numbers, the film sets the tone for a festival celebrating the unique strengths of the documentary form. If you’ve heard Sharon Jones sing, then you’ll want to see this documentary. 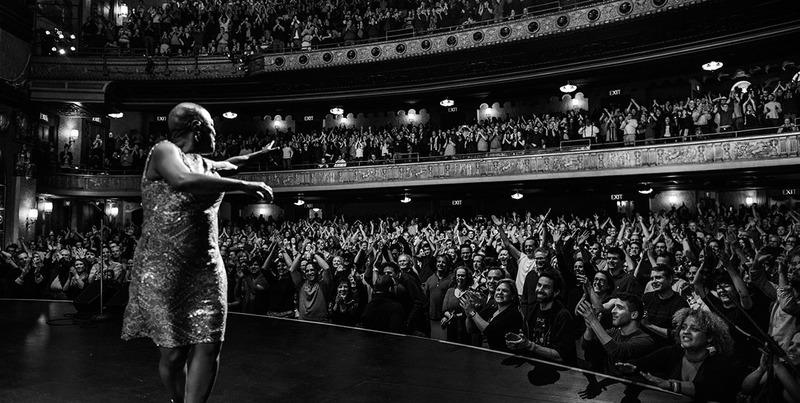 From Oscar-winning documentarian, Barbara Kopple (“Harlan County USA”), comes an emotional and soulful story of electrifying soul singer Sharon Jones, who is every bit as sweet and strong as you’d imagine. 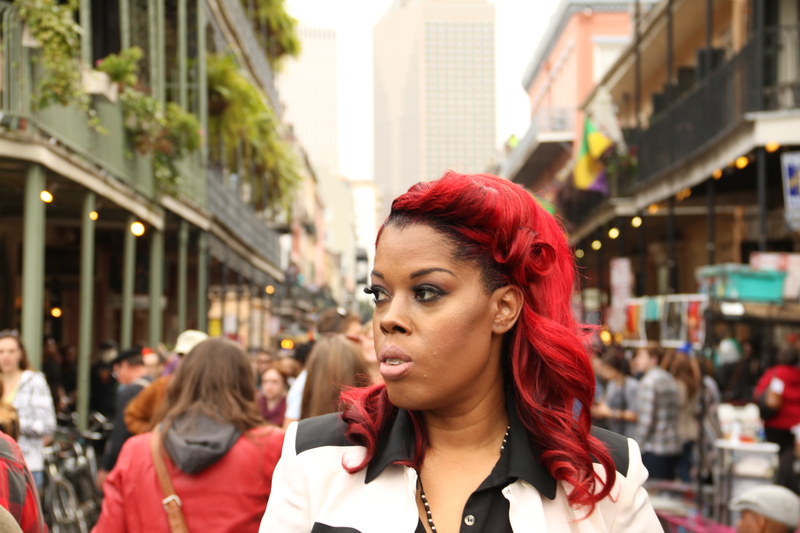 A former New York corrections officer, Jones found fame in her 40s as the front-woman of the R&B/funk band The Dap-Kings. But in 2013, Jones was diagnosed with Stage II pancreatic cancer, which would turn out to be the most challenging time in her life. 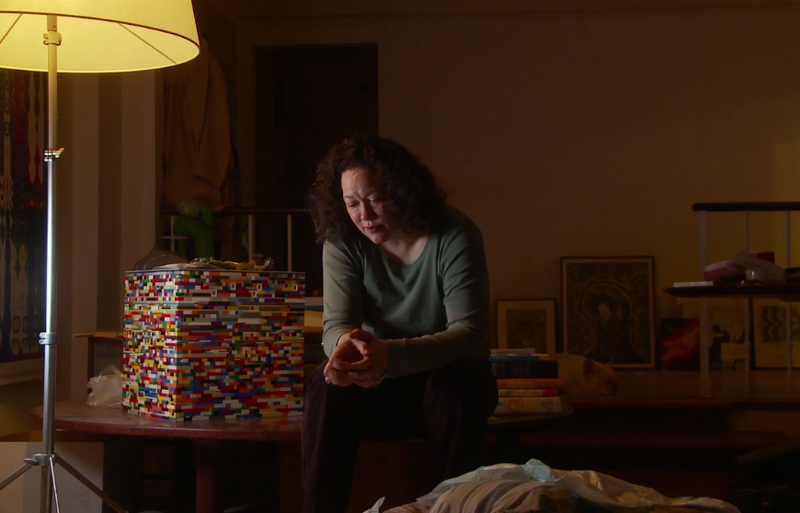 As she struggles to find her health and voice again, the film intimately uncovers the mind and spirit of a powerful woman determined to regain the explosive singing career that eluded her. “Miss Sharon Jones!” follows the magnetic Jones and her close-knit family of band members and managers through one of their most tumultuous years together. Filled with both tear-jerking and laugh-out-loud moments and plenty of rousing live musical numbers, Kopple gives viewers a personal and powerful look at a woman who was told she was “too black, too fat and too short” when she started out. Well, look at her now. Director Barbara Kopple & Producer David Cassidy in attendance! 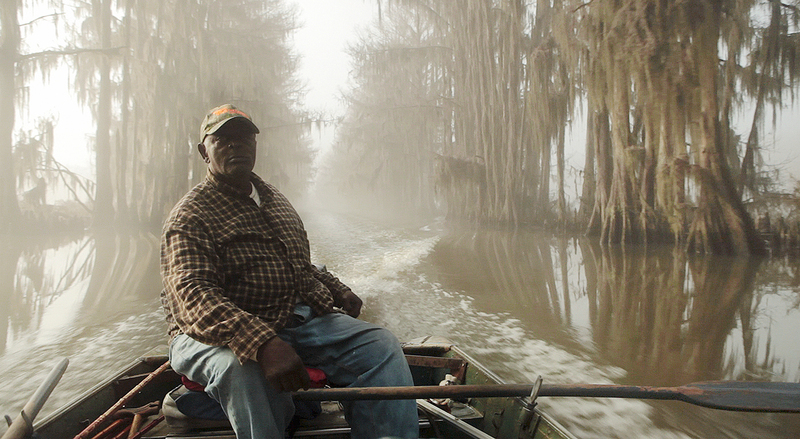 Uncertain, Texas, is a tiny bayou town on the Louisiana-Texas border and is likely a place you never knew existed. This immersive picture sets out to change that, combining a look at three very different men who live off and on the swampland: an elderly, charismatic fishing guide with a haunting past; a former addict on an obsessive quest to kill an elusive wild boar he calls Mr. Ed; and an aimless young man who yearns to escape a town where he lived in squalor. All three men have struggled or are wrestling with what they’ve done and/or who they are in life, in a town that may be literally dying. ‘Uncertain” is an atmospheric and enchanting film populated by an environment and people who can only be found in the American South, where it feels like another country altogether. It’s a film that will get under your skin and stay on your mind long after its striking visuals have faded off the screen. Winner of a special directing award at last year’s Tribeca Film Festival and called one of the best documentaries of 2015 by Newsweek magazine. Followed by a Q&A. From Magnolia Pictures comes the latest doc from maverick filmmaker Werner Herzog (Grizzly Man, Cave of Forgotten Dreams) who takes viewers on a fascinating and provocative journey into the past, present and future of our digital world, in his inimitable inquisitive style. 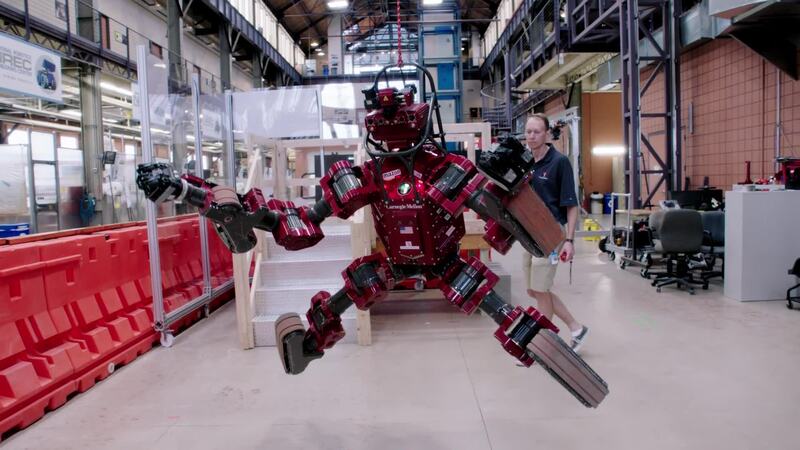 Using ten loosely interconnected chapters, Herzog reveals the ways in which the internet and digital world has transformed our lives, for better and for worse. “Lo and Behold” touches on a wide range of topics, from online bullying and cyber-warfare to artificial intelligence and digital meltdowns. It’ll will certainly make you think “just because we can, doesn’t mean we should” instead of “look how far we’ve come”. Expect a typically entertaining and informative and thought-provoking documentary, from one of the most prolific director’s of our time. 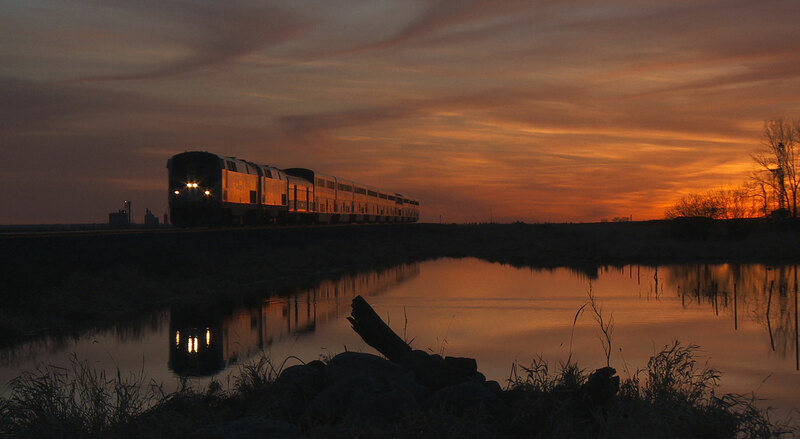 Presented courtesy of Magnolia Pictures. Followed by a panel discussion with Dr. Lucianne M. Walkowicz, Astronomer at Adler Planetarium; Professor Jason Salavon, Department of Visual Arts & the Computation Institute at The University of Chicago; and Dr. Kristian Hammond, Professor of Computer Science, Electrical Engineering and Co-Director of the Intelligent Information Laboratory at Northwestern University. “If I didn’t understand it, it would defeat me,” says John Hull, referring to the blindness that took his sight away at the age of 45. This probing sensorial experience of a film follows the respected Australian-born academic and theologian as he grapples with his condition, forcing him to change everything about his life, from the way he teaches to the way he connects with his children. 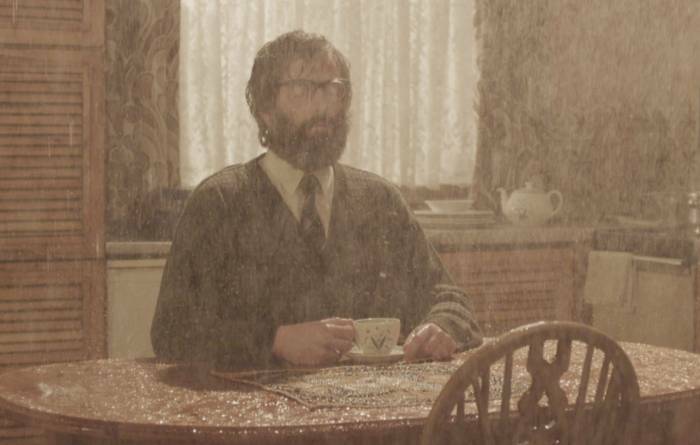 Gorgeously photographed and beautifully crafted, Notes on Blindness employs actors, who lip-sync Hull’s actual audio recordings, to provide an intimate, fascinating and sometimes frightening account of Hull’s challenges and triumphs, anguish and acceptance. From Sundance and Rotterdam 2016, Notes on Blindness has been called “immensely creative and poetic” (Cineuropa) and “elegant, evocative and deeply affecting” (Screen Daily). Accompanied by Virtual Reality presentation of “Notes on Blindness—Into Darkness,” a beautifully animated, interactive documentary, which uses real-time 3-D, virtual reality, and binaural sound to explore the world of the blind. Directors Peter Middleton & James Spinney in attendance.